The ABUS Diskus® 20 Series Padlocks are the Original Diskus® padlocks. The body, inside and out is made from stainless steel. The shackle is also made from a high quality, hardened stainless steel. Fitted with the ABUS-Plus disk cylinder offers the highest protection against manipulation and offers an extremely high number of key differs. The sophisticated Diskus® welded seam provides the highest break resistance and maximum case strength. 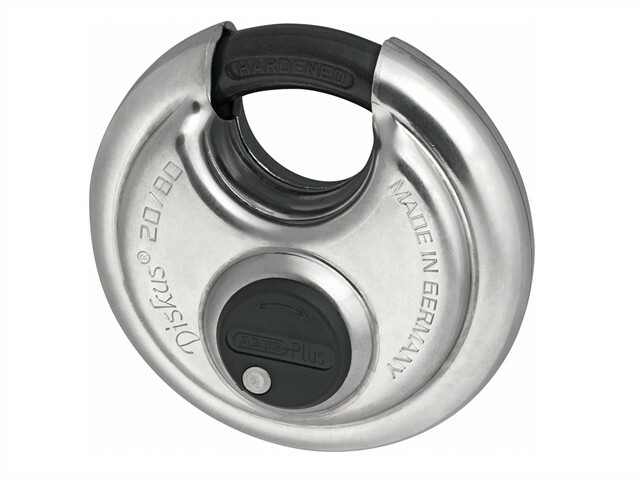 The Original Diskus® design provides 360° protection from sawing. The fitted dust cap helps prevent cylinder damage. Key operated, lock retains key until locked. Each lock is supplied with key code card.